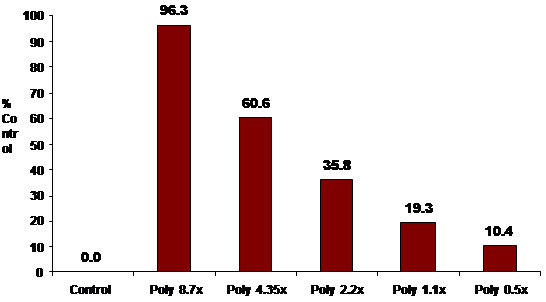 In 2007, KGK Synergize Inc., an independent laboratory in Canada, examined the effects of POLY-MVA on 8 cancer cell lines. 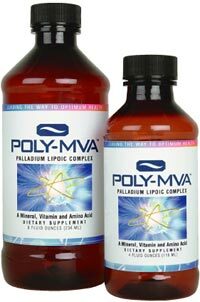 POLY-MVA was administered at 3 different dosages and the number of cells was examined after 24, 48 and 72 hours following initial application. 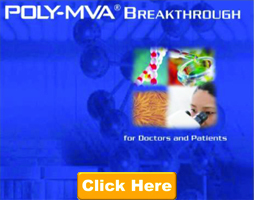 POLY-MVA was effective, to varying degrees, on the entire group of cell lines tested (melanoma, liver, lung, breast, prostate, colon, astrocytoma and glioblastoma). 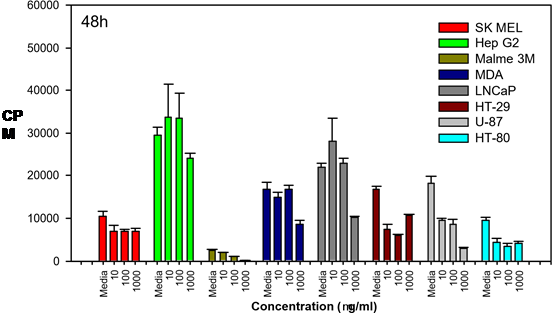 The varying effectiveness appears to be a consequence of the particular cell lines used and their associated degree of anaplasia. 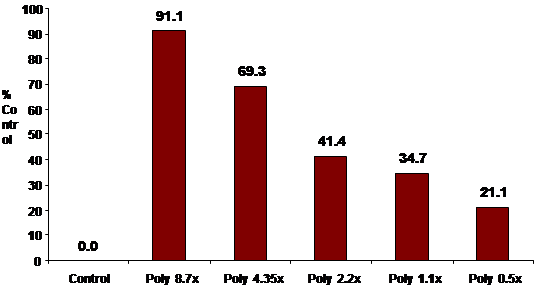 The Y-axis represents the number of cells per mL. 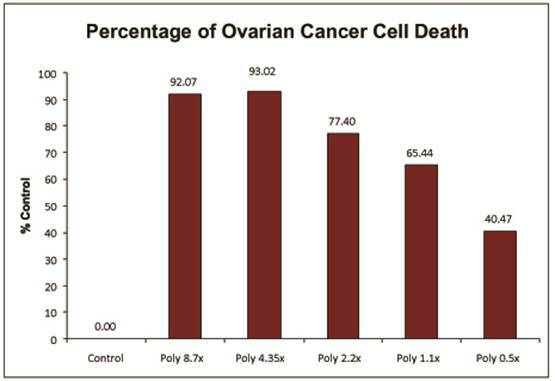 Garnett McKeen Laboratory Inc. (GML) chose to mimic the National Cancer Institute’s (NCI) cell screening protocol. MCF-7 (breast adenocarcinoma), and A549 (lung non-small cell adenocarcinoma). 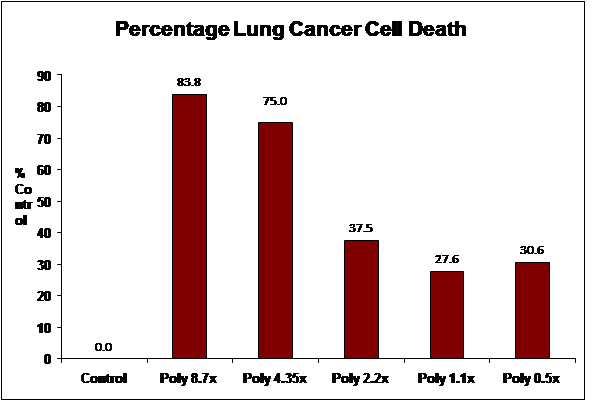 The data below represents the completion of the Breast Cancer (MCF-7), Ovarian Cancer (OVCAR-5) and Lung Carcinoma (A549) assay. 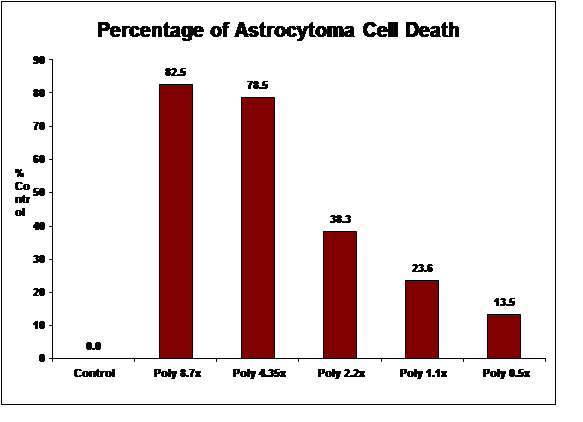 We have also completed assays using stage IV glioblastoma multiforme (H-80) and astrocytoma (H-4) brain tumor lines. 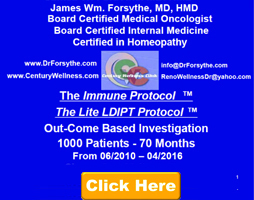 As noted below, all of the studies demonstrated significant cell death.